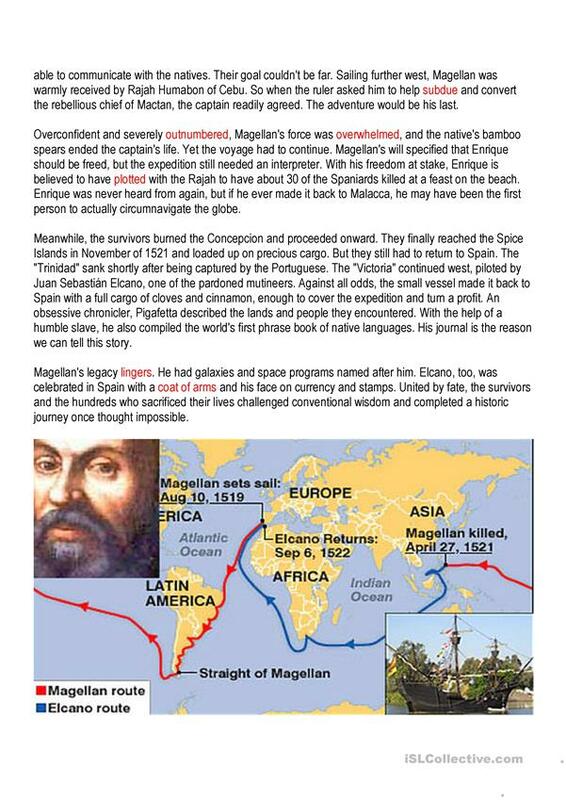 How Magellan Circumnavigated the Globe is created from a TED video, the link, subtitles, vocabulary and vocabulary questions are included. It is made to promote conversation. 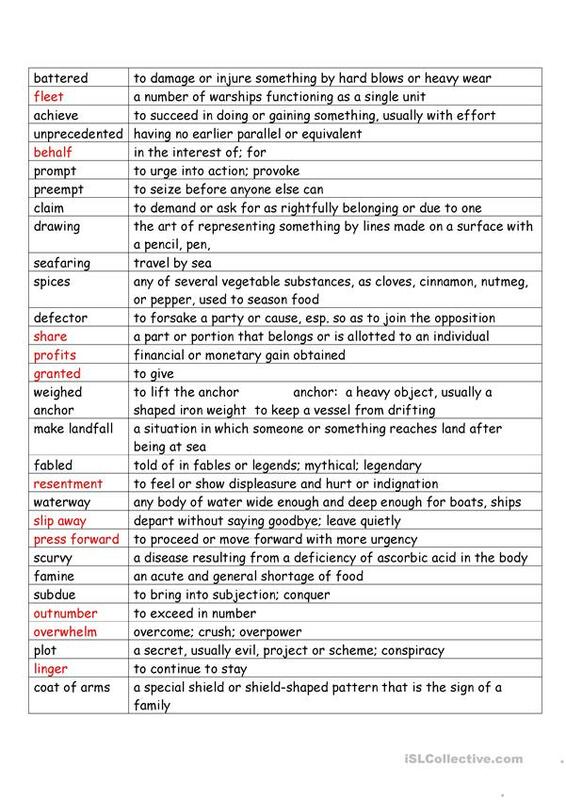 This downloadable handout is intended for adults at Upper-intermediate (B2) level. 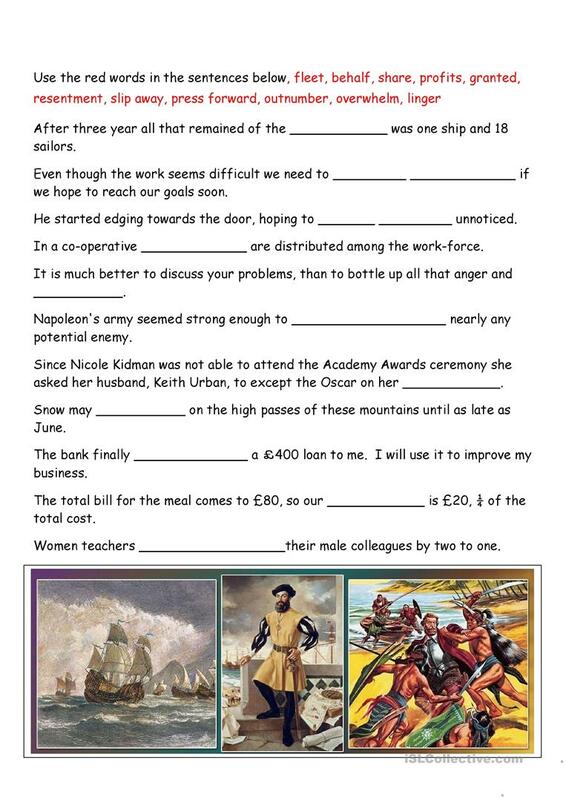 It is useful for honing your pupils' Listening skills. 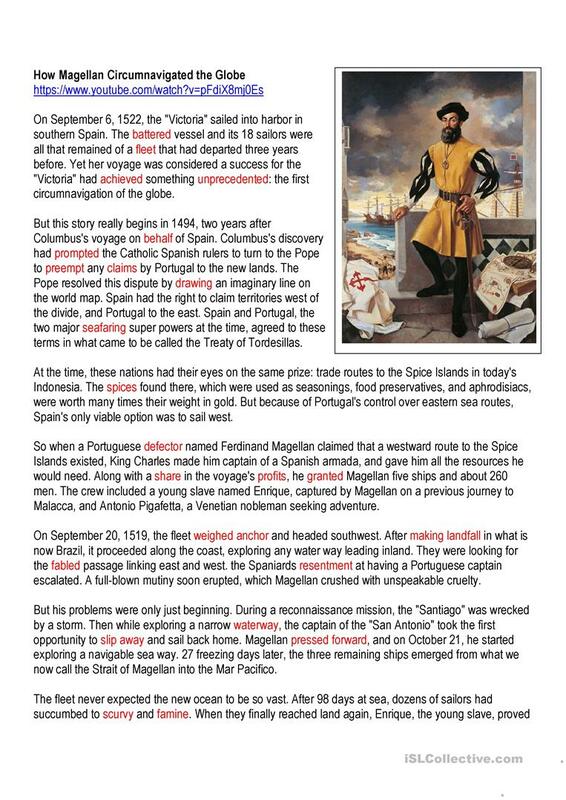 It features the vocabulary topic of History. Rictucker is from/lives in Brazil and has been a member of iSLCollective since 2017-01-15 18:07:50. Rictucker last logged in on 2019-04-20 13:32:36, and has shared 12 resources on iSLCollective so far.